More than 125 students and families of Dominican-American and other diverse backgrounds from Lawrence, Massachusetts area public schools participated in a whale watch and marine life adventure of a lifetime on Saturday in Stellwagen Bank National Marine Sanctuary as part of Latino Conservation Week. The whale watch was the culmination of an education series sponsored by the sanctuary and the Hispanic Access Foundation. “We are pleased to collaborate with Hispanic Access to increase the engagement of the local Latino community in learning about whales and marine life, exposing students to the idea of environmental career opportunities, and becoming engaged in the protection of our treasured marine and other natural resources,” said John Armor, director of NOAA’s Office of National Marine Sanctuaries. Located off the coast of Massachusetts, Stellwagen Bank National Marine Sanctuary provides refuge for humpback whales that feed in the sanctuary from April through December and migrate to lower latitudes in the Caribbean Sea, including the Dominican Republic, during the winter to mate and calve. 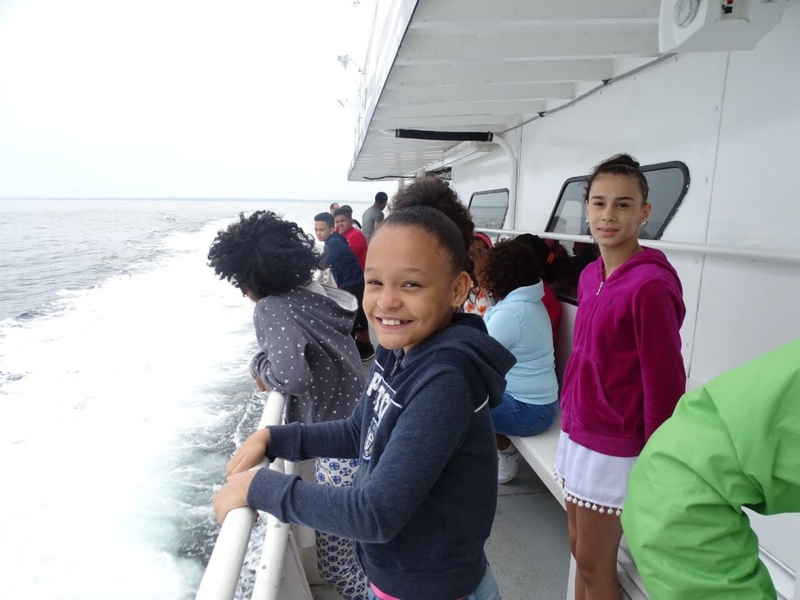 Last week, in advance of the whale watch trip, students from Lawrence’s Parthum Elementary learned about whale migration, the intricate web of marine life in Cape Cod and Massachusetts bays, and the cultural and social connections between marine sanctuaries in the Eastern U.S. and the Caribbean. During the whale watch tour, students were asked to keep a sharp lookout for marine life, including whales, birds, basking sharks, ocean sunfish, jellyfish, sand lance and sea turtles. For the second year in a row, the City of Lawrence - through the office of Mayor Daniel Rivera - provided transportation for the participants, as they traveled on school buses to Gloucester and departed on a Cape Ann Whale Watch tour. On board educators from NOAA and Cape Ann Whale Watch provided additional education during the four-hour trip. Latino Conservation Week is an initiative of the Hispanic Access Foundation that was created to support the Latino community getting into the outdoors and participating in activities to protect our natural resources. More than 100 events were held by national and state parks, monuments, and wildlife refuges, as well as national and community groups during Latino Conservaton Week, July 15-23.